On Sunday morning Fox News has a program that ostensibly covers what’s happened in the media during the prior week. 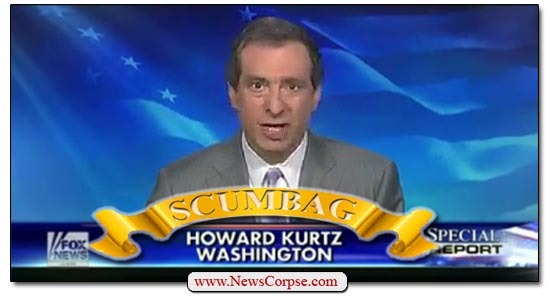 MediaBuzz is hosted by Howard Kurtz, a reliably right-wing shill who spins almost every story in favor of Donald Trump and conservative Republicans. 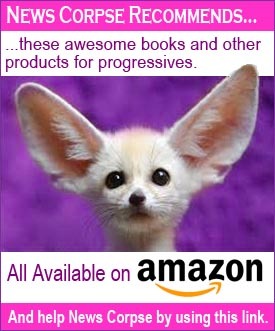 The latest episode had plenty of red meat to chew on, but Kurtz predictably managed to shift the focus to the so-called “liberal” news outlets while letting his own network off the hook. The program began by dedicating the whole A-block to Trump flunkies Corey Lewandowski and David Bossie. They spent several minutes bashing Democrats with provably dishonest statements. Kurtz never once challenged them or questioned the phony basis for their remarks. And when he eventually wrapped up this Trump Lovefest, Kurtz moved on to devote much of the rest of the program to comparatively minor media mix-ups. In the first instance Kurtz pressed his panel to discuss a CNN story that misstated the date of an email (September 14 rather than 4). The main point of the story was to reveal a communication with the Trump campaign about Wikileaks and Hillary Clinton’s hacked emails. That was little changed by the differences in the date. It’s still significant that Trump and his associates were alerted to the Wikileaks data almost immediately after it was posted. Nevertheless, several minutes were spent discussing the story that CNN had quickly corrected. Kurtz also featured a tweet of a photo that showed low attendance at Trump’s Pensacola rally for Roy Moore. Dave Weigel, a Washington Post reporter retweeted the photo on his personal account, not as a WaPo item. He later apologized saying that the photo was taken before Trump’s arrival (although other photos seem to confirm that the venue was not “filled to the rafters”. as Trump said). Trump also addressed this tweet and, in a tweet of his own that breaches the constitutional protections of a free press, he called for Weigel to be fired. A date mix-up and a reference to Trump’s crowd size are typical of the trivia that Fox News seems to be perpetually obsessed with. They blow up stories like these into major catastrophes because they haven’t got any legitimate criticisms to report. And they conclude from these trite examples that the media is hopelessly biased and infested with fakery. Trump himself lied about these mishaps being “vicious and purposeful,” when there is no basis whatsoever for that hyperbolic and delusional reaction. What makes the focus of Kurtz’s program all the more troubling is that Fox News also had a problem this week with a report that they had to correct. Of course, they have lots of problems every week that they never bother to correct. But this story resulted in Fox News editing their story and headline because it was too dishonest even for them. The story was about Roy Moore, the GOP senate candidate in Alabama who has been accused of sexual assault on a minor (among other atrocities). Fox’s headline falsely asserted that “Roy Moore accuser admits she forged part of yearbook inscription attributed to Alabama Senate candidate.” There was just one little problem with that. The accuser, Beverly Young Nelson, never admitted any such thing. All she did was reveal that she made a notation, next to Moore’s yearbook message and signature, to recall the date and location it was signed. Nothing was forged, and there was no attempt to deceive anyone into thinking the notation was Moore’s handwriting. Fox News changed the headline (although not the URL) to read “Roy Moore accuser admits she wrote part of yearbook inscription attributed to Alabama Senate candidate.” But that’s also untrue. She did not write Moore’s inscription and she did not attribute the notation to Moore. 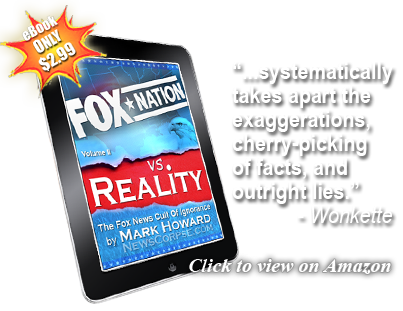 Fox’s correction fell beneath ethical standards expected of professional journalists. And the magnitude of the mistake was far more serious than those of CNN and the Weigel. In fact, Fox News literally accused Ms. Nelson of the crime of forgery, something she could sue them for. That seems like it would be an excellent story for a program that reports on the media to cover. But Kurtz gave the Fox News story a whopping three seconds. He mentioned it in passing as he immediately segued back to other alleged media faux pas. He didn’t criticize Fox for the error or allow his panel to discuss it. He quite obviously and deliberately buried the story. And that’s pretty much his mandate for the program he hosts. It’s a regularly scheduled propaganda machine to make all other media look bad, while sweeping Fox’s far more blatant problems under the rug. And that could not be a better description of the difference between Fox News and responsible journalism. Fox is the astrology of news. They report what they believe their audience wants to hear. And it doesn’t matter if they have to make it up or bend it to fit a preconceived viewpoint. It’s purpose is not to inform, but to make the audience feel better about themselves and to affirm what they already believe (or hope) is true. And the way Fox News reads the stars somehow always divines good news for Trumpians and bad news for Democrats and liberals. Funny how that happens, isn’t it? And this just in: Leland Vittert of Fox News was having a discussion this morning about fake news when he interjected that Dave Weigel had been fired from the Washington Post. That is fake news.